Do you consider following Christ to be easy? Chapter 1 of The Spirit of the Disciplines is called The Secret of the Easy Yoke and is about the easy yoke of following Christ. Dallas contends in this chapter that there is something easy to following Christ. Do you believe that? Jesus says in Matthew 11:30, “For my yoke is easy, and my burden is light.” Did you know He said that? Most of us, when it comes to thinking about following Jesus, imagine it involves just doing what He did. This is the popular WWJD that we see so many teens advertising across the wrists. To a certain extent we want to do this, but following Christ is so much more. Dallas says, “To live as Christ lived is to live as he did all his life.” This is a great point and maybe why so many have trouble living as Christ. Do you live every moment of your life like Christ? We think we can just behave like Him in an instant when we haven’t been behaving like Him for the rest of our lives. I like the way Willard frames the issue in dealing with the misunderstanding that we sit passively by while God does everything for us. 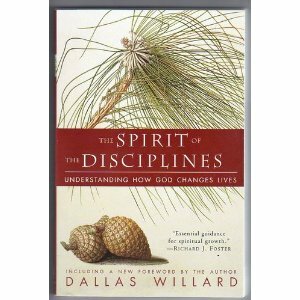 It is through spirtiual disciplines that God's grace operates. Therefore, the spiritual disciplines are not an attempt to earn God's grace but cooperation on our part to allow God to have His way in us. In that sense, the yoke is easy. 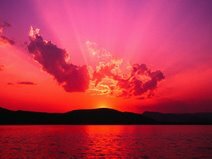 But as in Christ's early years, most of time our preperation is experienced in obscurity, in the day to day ordinary experiences of life. While God may see us being transformed into the image of His Son, we don't often see it and we wonder whether we are growing. This could lead to discouragement and in this sense this is where the Christian life can seem difficult. This is where fellowship with other Christians can help, if Christians would really reach out to encourage each other and hold each other accountable. Also, while the relationship between the disciplines and grace is a vital aspect of spiritual formation for Christians, does this relationship have any bearing on evangelism? When presenting the Gospel, we often hear the response from someone that they would like to be a Chrisitan but would not want to try to be something they could not be. Shouldn't people know beforehand that God gives us the power to live a life pleasing to Him by grace as we order our lives to allow His grace to do its work in us. To me, this is a vital part of preaching the Kingdom of God. Also, if the gospel message is limited only to the forgiveness of sins, people who repent will struggle as their subsequent life fails to exhibit the power of the gospel in their lives. People need to know in advance that salvation brings the power of God into their lives to affect transformation in them.